This statistic shows the frequency of using mobile phones to access email or internet services by smartphone users in the United Kingdom (UK) in 2018. 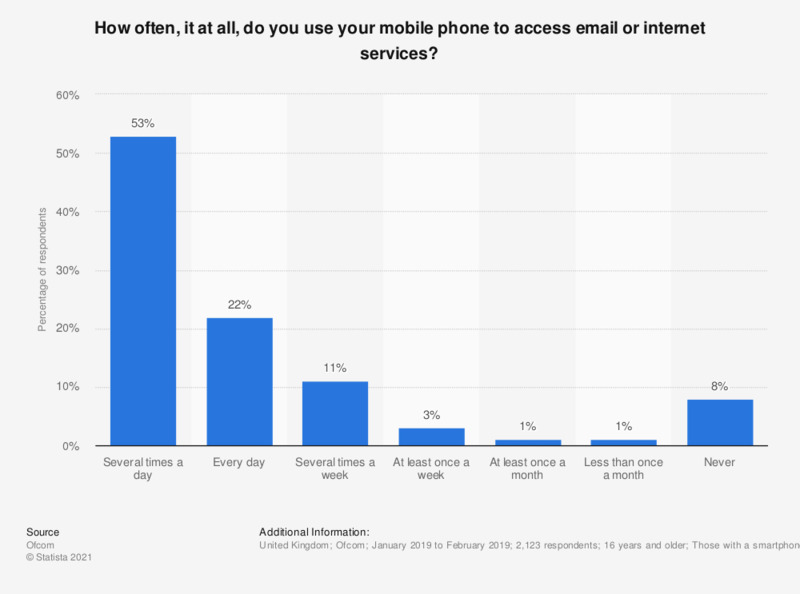 As of February 2018, 54 percent of respondents used their mobile phone to access email or internet services several times a day. Since mobile phone are used privately and for professional purposes the use of web services for the checking of Emails is to be expected.